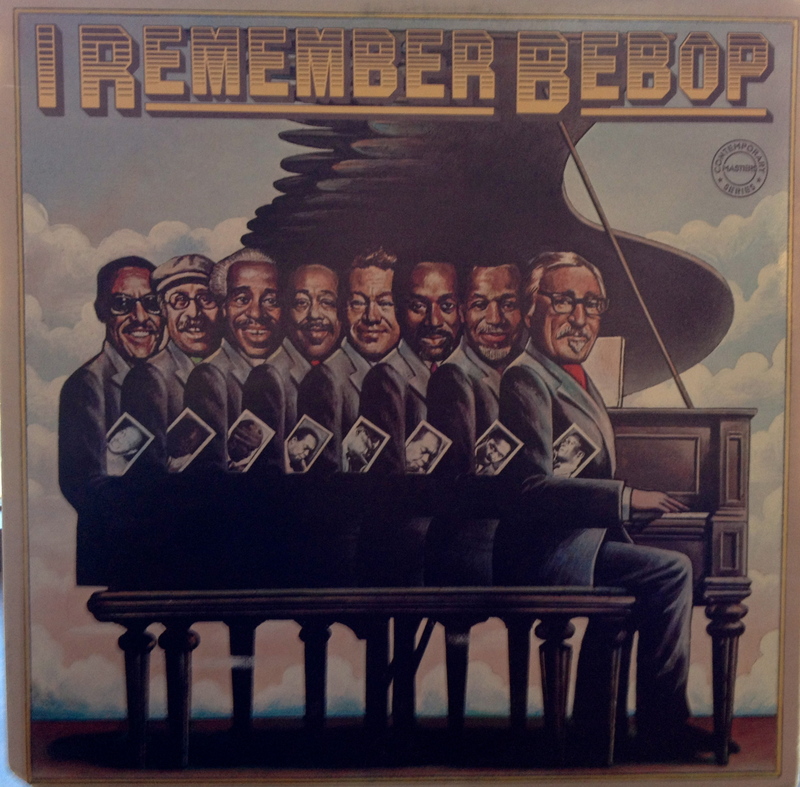 St. Louis music trivia: Wendell Marshall was Jimmy Blanton's cousin, and reportedly played Blanton's bass on Ellington's Piano Reflections and all those incredible Savoy records with Kenny Clarke and Hank Jones. Arvell Shaw was from St. Louis, too. In high school, after reading an interview with Mark Helias, I got Satchmo at Symphony Hall, which really does have an amazing (and amazingly well-recorded, for 1947) bass performance. 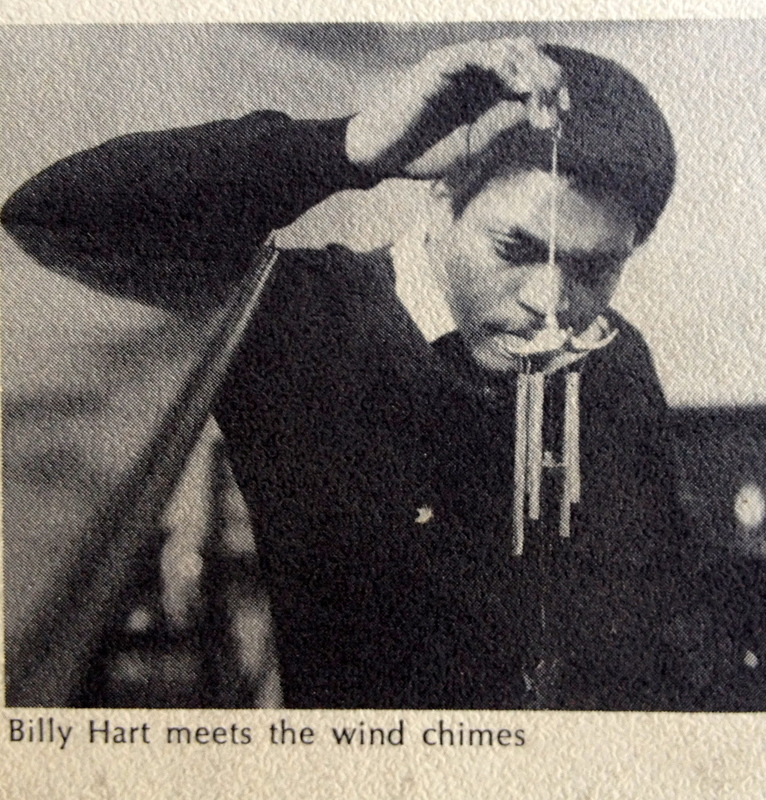 It's one of Sid Catlett's celebrated records, too: not just for the drum feature "Mop Mop" (which I've heard Jack DeJohnette can play at the drop of a hat) but for his rollicking time feel throughout. Which reminds me to buy the new limited-edition reissue before it is gone. Euclid Records! What did you do to me? I thought we were going to be friends. 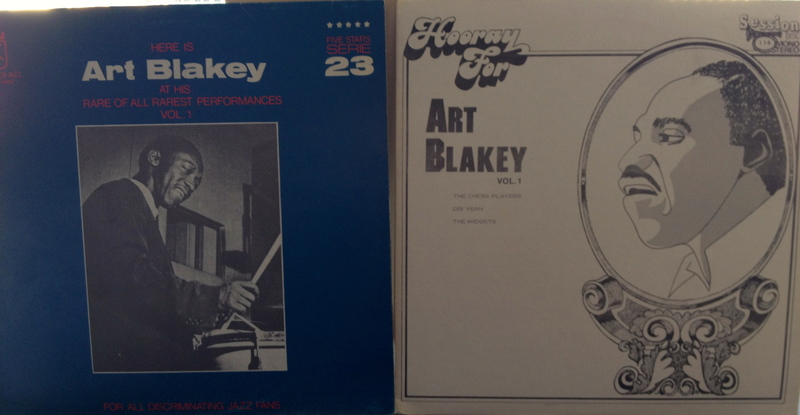 Two Rowles sessions, I particularly wanted to hear him with Leroy Williams and Donald Bailey. 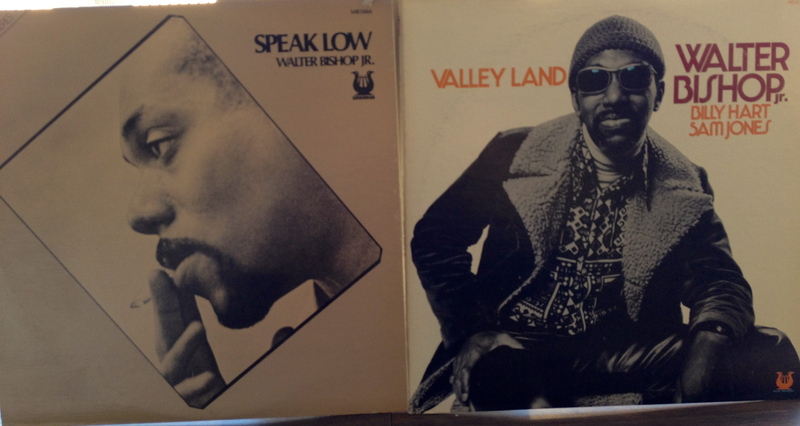 Two Walter Bishop records. 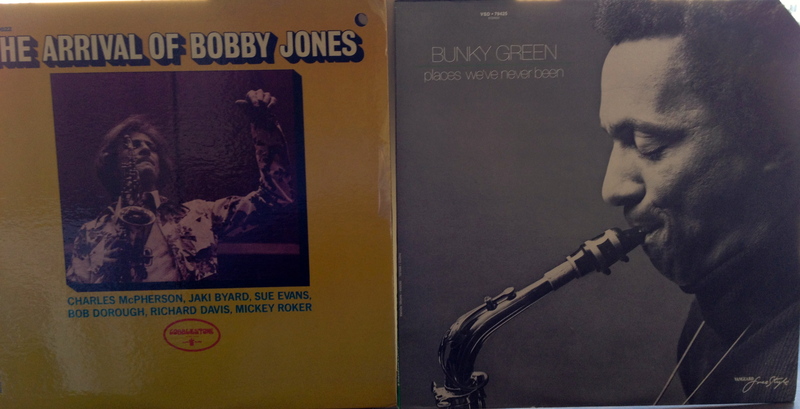 Well, the one on the left has great Jimmy Garrison, and I've heard Valley Land too, a rare and wonderful chance to hear Sam Jones and Billy Hart together. Of course, that cover shot is impossible. 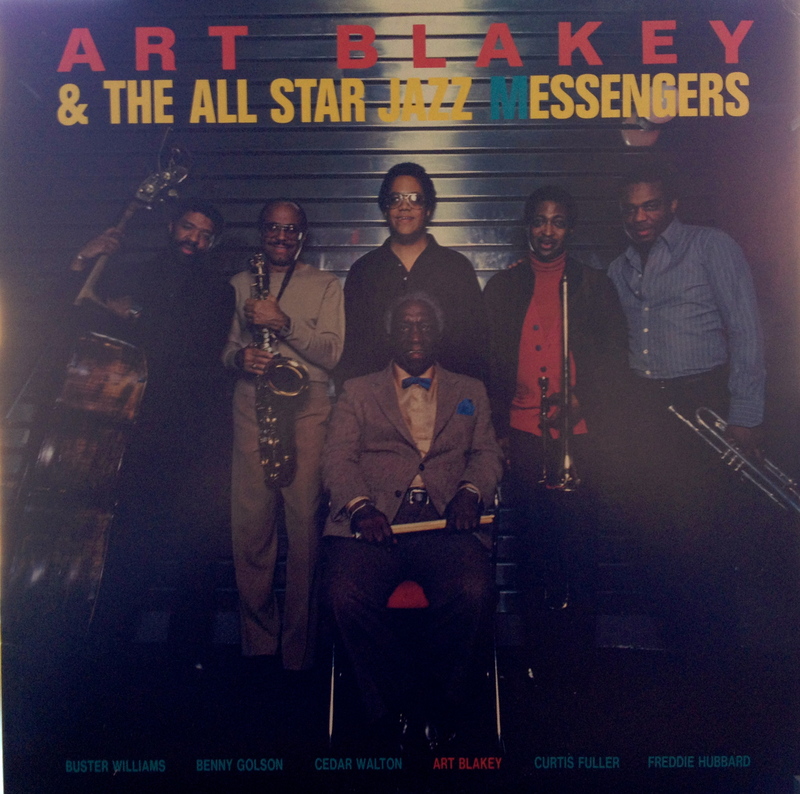 I collect records with Cedar Walton and Billy Higgins together like stamps or something. 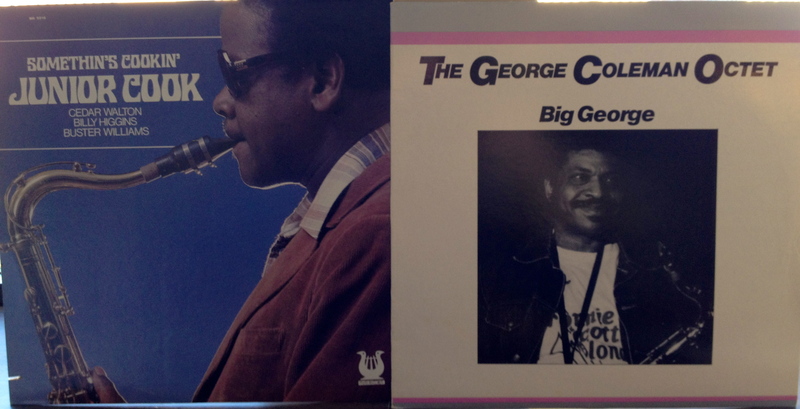 I've heard the George Coleman at Mark Stryker's house, it's really great and exceptionally hard to find. Definitely underpriced $8, I would have paid three times as much in a heartbeat. Hyland Harris just forwarded this petition to get Coleman elected a NEA Jazz Master, which I happily signed. I had the Bobby Jones in high school, it made no impression at the time, but that cast is still so intriguing…. Albert Dailey, Eddie Gomez, and Freddie Waits on the Bunky Green. I keep looking for the very best Albert Dailey perfomances. 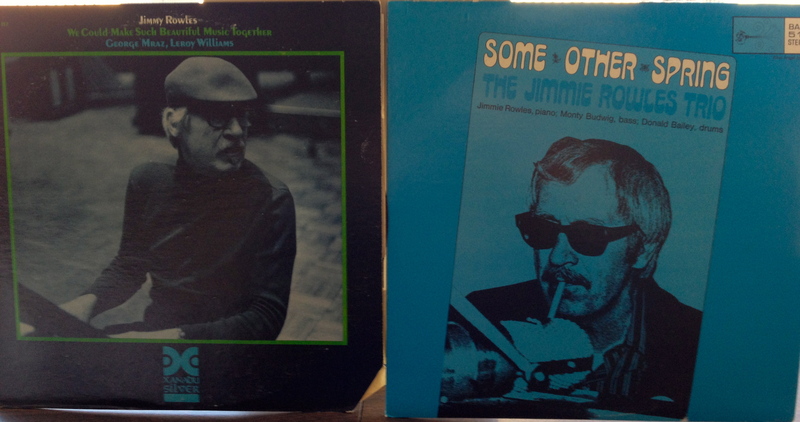 Two cheap boots of NYC 1960 with Morgan, Shorter, Timmons, Merritt. I haven't heard Wayne play on "Along Came Betty" before, nor a live version of "The Chess Players," one of my fav early Wayne tunes. 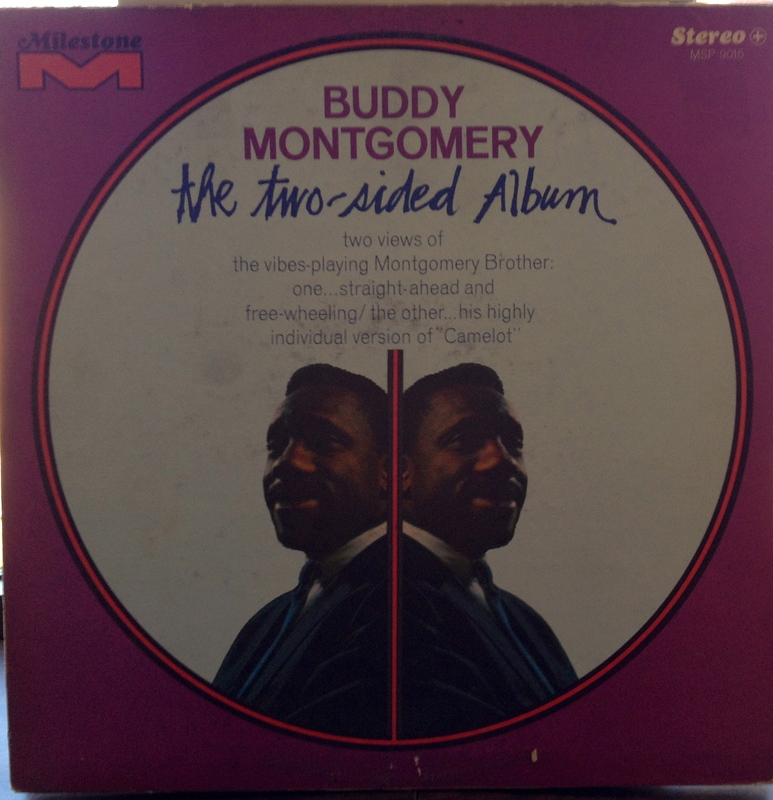 Only $4 a pop, if I dig the tracks I'll start searching out the complete Birdland stuff on CD, it has been in circulation under Lee Morgan's name. This was the most expensive purchase, $30, but how could I say no? Never seen it before, it's one of those Japanese productions that are so hard to find. I see Amazon has one for $63. At the least, the cover is suitable for framing.